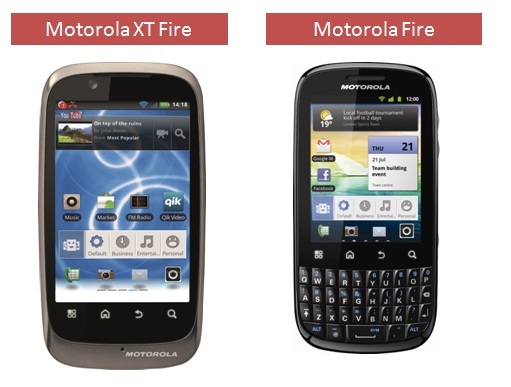 Motorola has launched two new Android handsets namely the Motorola Fire XT and the Motorola FIRE. Both are powered by Android 2.3 Gingerbread and offer a slim design. The Fire offers a QWERTY-keyboard with a 2.8 inch display and a 3MP camera, while the Fire XT has a full-touch design with a 3.5 inch display and a 5MP camera. Other than that, both the handset have common set of features and capabilities. The Motorola Fire XT is priced at a best buy of Rs 12,990 (MRP: Rs 13,890) and the Motorola Fire is available at a best buy of Rs 9,490 (MRP: Rs 9,990).